As you know by know, my tastes are far-flung and, um, eclectic. I know not everyone approves (if that is the term) of comics which continue narratives begun on TV or film, but I enjoy quite a few of them. It's a dis-service to dismiss the good work done by many artists and writers who work on such book. I guess it's viewed with suspicion because you have to work within certain confines, so it's seen as there being less scope to be 'original,' and often we're talking about big money-making properties, which is viewed with cynicism as well. 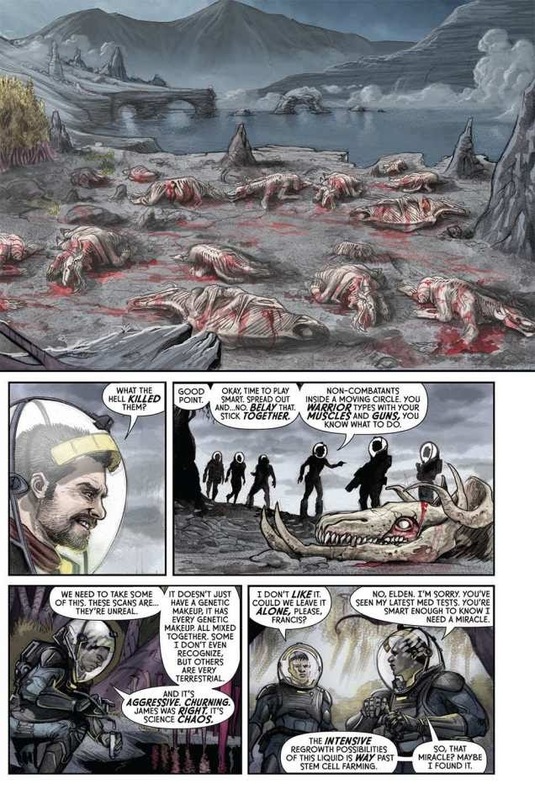 I tend to think that the ever-ravelling, mythological nature of comics fits well with those extensions and continuations, like Star Wars, or Buffy. I read and loved the X-Files comics long before I saw the show itself. 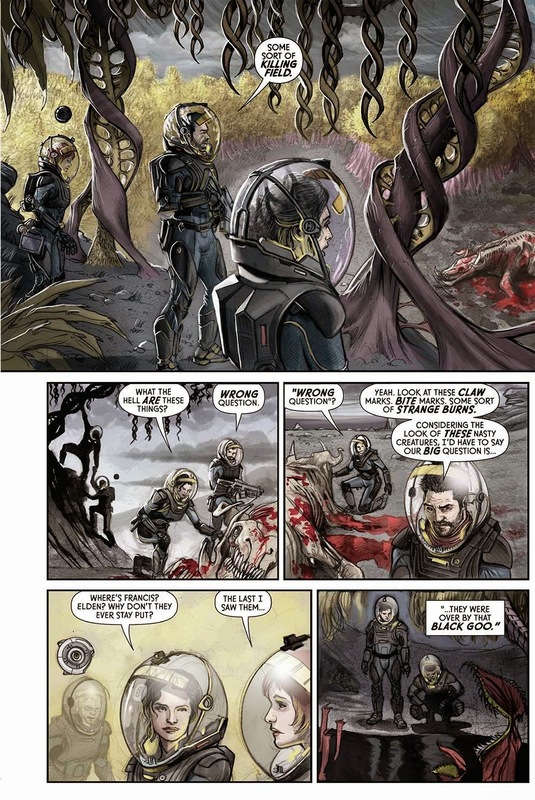 The Alien films have a vast fan following (of which I am a member), and Dark Horse have been putting out various comics over the years, which it's fair to say have steadily fallen to the wayside. 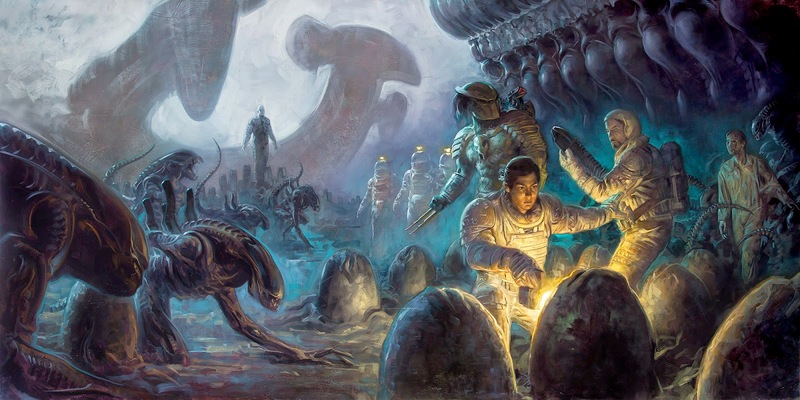 Last year the publisher announced a renewed list of titles, including a re-launch of Aliens, Predator, Aliens Vs Predator, and Prometheus, the latter of which is due this September. 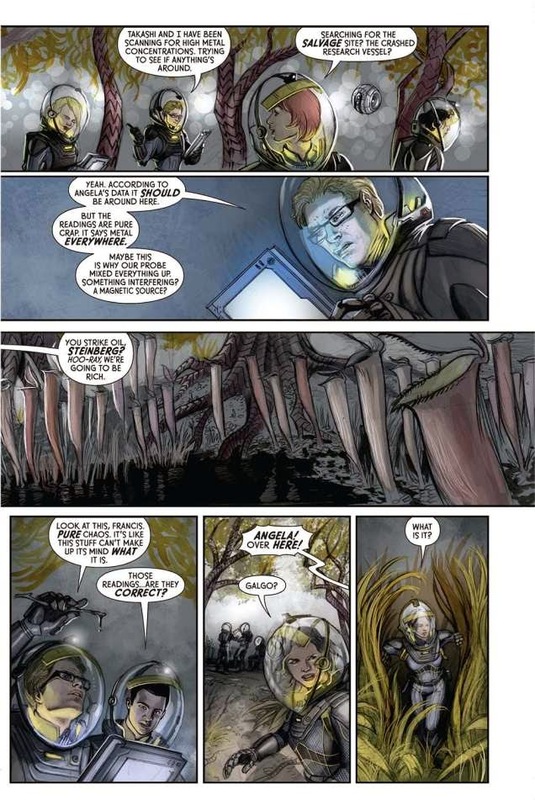 Speaking to io9 last year, Dark Horse chief editor Scott Allie discussed the introduction of the Prometheus to the Alien comic-verse, and how it tied into the film, 'This isn't really a reboot. It's a complex story with a lot of moving parts. It looks back at Prometheus, for sure, and it looks at the other movies that got these stories started, but it's not heavy with continuity.' There's a good deal more at that link, which is worth reading. 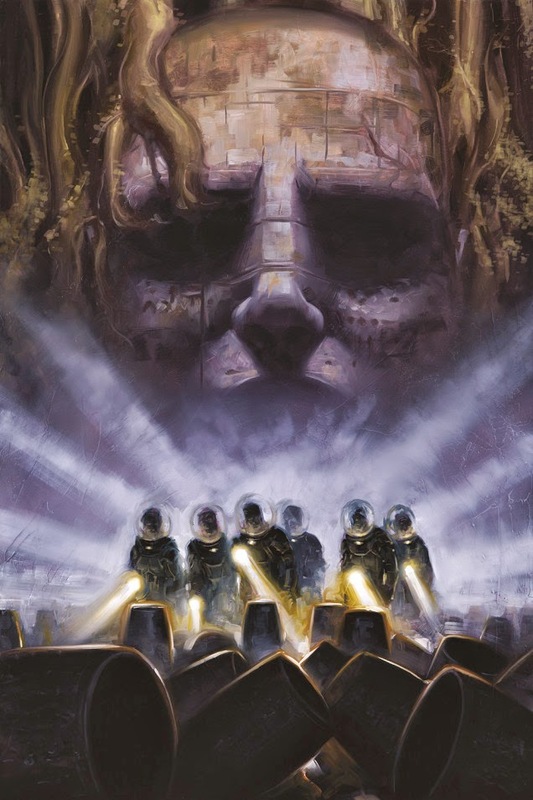 I love Alien, and I was one of the people who also actually really enjoyed Prometheus, despite its flaws, so I'm pretty excited to see Dark Horse re-focus on these titles with fresh interest. 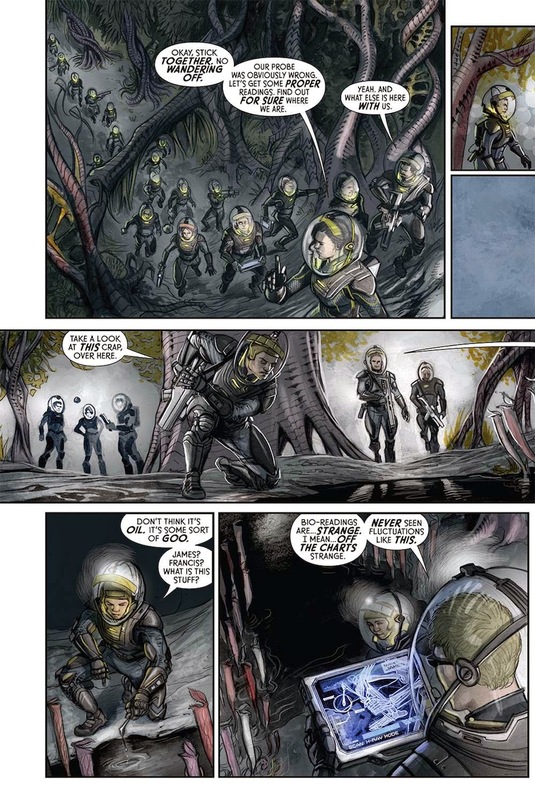 So far, the only one to have any preview images is the Prometheus title- Fire and Stone #1, which has a release date of September 10th and is illustrated by Juan Ferreyra and written by Paul Tobin. And it looks really good. 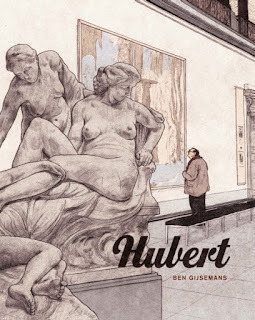 Looking forward to seeing more of the other books, too.